During the past 50 years, we have perfected a tried and true approach to executive search and selection that blends art and science to ensure that client expectations are met and often surpassed. We bring a wide range of contacts, knowledge of people and their motivations to help clients meet their business needs of today, tomorrow and the future. Whether you want to identify the untapped potential within your organization or attract new talent, Jacobson can guide you to the leaders who can make a lasting impact on your company. Contact us today! For nearly 50 years, we have been connecting organizations with the insurance talent required to succeed in a competitive environment. This focus offers unparalleled insight into the insurance community. Our clients benefit from our deep understanding of the world of insurance and reinsurance, as well as the related financial services arena. We also bring strong global connections across those many verticals. This specialization enables us to reference, source and attract high caliber candidates from within the insurance industry. Our insurance executive recruiters know that sometimes the best people for a particular role might not be currently working in the same space. Because of our deep-seated knowledge of insurance, we are strongly positioned to find those individuals from outside your marketplace and from the broader financial services arena and beyond who are more likely to make a successful transition. Our understanding of these markets, our research capability and our vast network of connections enable us to cover multiple adjacent markets, industries and geographies to find the person or team with exactly the right fit for your role. Meet the insurance recruiting specialists that make up our executive search team. Long-Term Partnerships: We aim to build long-term business relationships with our clients. Since we are focused solely on the insurance industry, our reputation is our only meaningful currency. We are committed to completing each assignment we take on with the intention of developing a long-term partnership based on satisfaction and success. Long-Term Success: The longer-term success of our clients is important to us. We understand that working on your behalf carries great responsibility. We want our clients to be the employers of choice now and in the future. As we conduct searches on their behalf, we have the responsibility to best position our clients’ ambitions and available opportunities to attract the best talent possible. 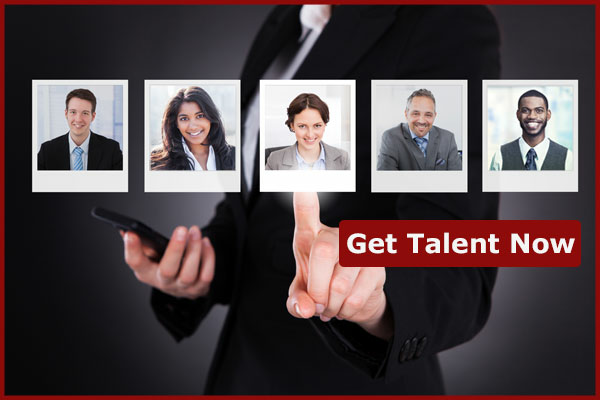 You can trust that we will always convey an honest and accurate picture of your organization, connecting and engaging with candidates in a professional manner that enhances the reputation of your business. Dedicated Search Team: Jacobson considers each assignment a critical responsibility and commits to providing more resources than is standard industry practice. An executive search team is formed to focus on each specific assignment. All executive searches are managed by senior-level consultants and overseen by partner-level executives and are supported by a dedicated team of Recruiters, Search Analysts and Administrators. Customized Approach: Coupling our knowledge of the insurance industry and previously developed relationships with thought leaders, we start every search with fresh, innovative research. We employ our own Researchers and all our client work is undertaken in-house. Finally, we create customized interview strategies that align with acquiring and evaluating the executive talent necessary to meet our clients’ corporate objectives. Diversity Mind Set: Diversity makes commercial sense. Scientific evidence proves that better decisions are made when a management team has a broad spectrum of knowledge and a range of personality types and experiences supported by a shared vision. To be successful, companies must also stay in tune with the needs of their customers and markets and a management team that reflects that base is key. We value diversity and are committed to providing our clients access to talented individuals with rich experiences. We strive to find candidates with different perspectives that can work well together towards a shared vision for your business. Diversity Commitment: We believe the key to diversity is the constant development of new networks and empathy towards the evolving dynamics of the talent market. We have cultivated and maintain relationships with various diversity organizations and mentorship programs. Throughout the insurance industry, Jacobson has also been lauded for the diversity programs it has created and continuously supports, including The Insurance Supper Club, a growing global networking group that aims to promote women in business; the Women’s Insurance Networking Group, which holds events to encourage the empowerment of women in the insurance industry; and the Million Women Mentors Women in Insurance Initiative, which calls on the insurance industry to drive equality in career advancement and leadership by recruiting, mentoring and sponsoring women. This level of involvement is testimony to our industry knowledge and provides distinction and credibility to the quality of service we provide.